Royal Ascot takes place from 18th to 22nd June 2019. Offering you a unique civilised solution to your parking needs in Royal Ascot week! Situated just up the road from Ascot Racecourse, is the stunning All Saints Church, where you can book a parking space for your racing party and relax in the grounds of our beautiful 150 year old church. Car park spaces can be booked here. Alternatively, please fill in the booking form and send it with your cheque payment to the Parish Office. Upon arrival, a warm welcome awaits you, with a complimentary hot drink for all members of your party. 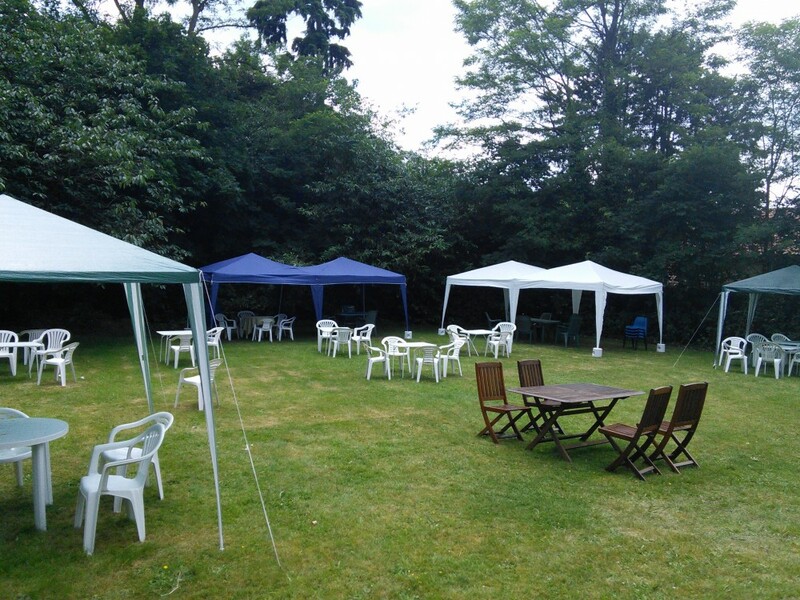 Enjoy your traditional picnic on the Rectory lawn, where tables and chairs will be provided for your comfort. These are provided on a first-come, first-served basis. However, if you wish to book these in advance please complete the booking form and return it to the Parish Office. There is a charge of £10 per party of 4 persons (£20 for 8 persons / £30 for 12 persons / £40 for 12 persons). It is a great help if you can take your bottles and rubbish home with you. You will have open access to the church hall facilities, to enable you to freshen up and look your best for the main event (including a full length mirror)! If you feel like a moment of peace and quiet reflection, our church, which was built in 1864, is open to you. Take the opportunity to see the wonderful stained glass windows, and the recently restored wall paintings. Once you feel refreshed, enjoy the short walk to the racecourse with your friends or family, for your fun-filled day out! After the racing, return to the hall for Afternoon Tea, served from 5pm to 7pm. We offer Sandwiches with a choice of fillings, Scones with clotted cream and strawberry jam, and an assortment of homemade cakes and other desserts. We regret that Afternoon Teas will not be available on Saturday. For your peace of mind, please ensure that you reserve your place early, to avoid disappointment. Any enquiries, please contact the Parish Office on 01344 884686 or email here.